What does it take to create a dream come true life? 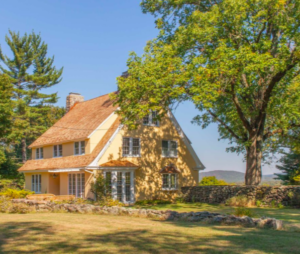 In this special retreat-like experience, Karen will take you on a bit of a journey. You will discover greater insights into what makes you tick, how you define fulfillment and set the stage for optimal health. If you ever wondered if you can really elevate your success and have more impact in this world, you owe this experience to yourself. You will discover new strategies, better tools & templates, including directions for a new way of life. And, it all takes place in an intimate setting surrounded by a collaborative spirit. “Motivational, fantastic, inspiring, amazing, masterful, uplifting, and awesome.” These are just some of the descriptions used by our attendees to articulate their experience at the 2018 HealthCare Service Excellence Conference in San Antonio, TX. “Beautiful voice and great words of encouragement, and the reference between directions and life is fantastic. I will use these ideas at work and in life. Thank you.” – Brittany Schwans, Sioux Falls Specialty Hospital “Very inspirational! Not only in healthcare but my own personal life.” – Ashley Egley Carthage Memorial. It Is Never Too Late to Recalculate. It Is Never Too Late to Live Your Dream. What a great experience chatting with the hosts of The AM Show while in Auckland to speak and sing at the Global Speakers Summit! One of our favourite interviews of the year – introducing Karen Jacobsen – The GPS Girl, the Australian voice of Apple's Siri. 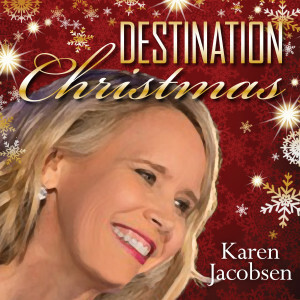 HIGH POINT, N.C., Dec. 5, 2017 – Karen Jacobsen, known as “The GPS Girl” and the most downloadable voice in the world, is High Point University’s newest Global Artist in Residence. Through an ongoing partnership, Jacobsen will connect with HPU students and faculty for experiential learning opportunities. 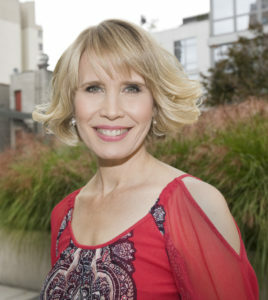 A native of Mackay, Australia, Jacobsen is well known internationally for her voiceover work. Her voice has been featured in text-to-speech systems in more than a billion GPS and smartphone devices worldwide. This includes recording 50 hours in the studio to create the female Australian voice of the original Siri application featured on Apple iPhones, iPods and iPads. 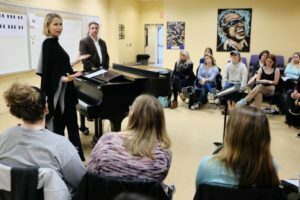 Jacobsen performed on HPU’s campus during the annual Veterans Day Celebration in November and visited students in music and communication classes. She will also perform at HPU’s annual Community Prayer Breakfast, held at 7:30 a.m. on Friday, Dec. 8. The event will be held in the James H. and Jesse E. Millis Athletic and Convocation Center on campus and is free and open to the public. 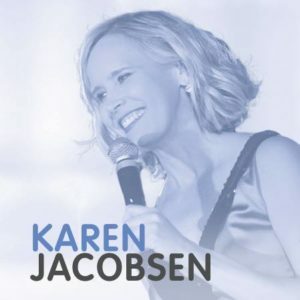 For more than 20 years, Jacobsen has been heard on thousands of television and radio commercials through her voice-over work for top national and international brands, and in many customized voice systems around the world. This includes applications for elevators, cruise ships, cinemas, hotels, car washes, electronic devices and software. Jacobsen is pictured working with students during a recent visit to HPU’s campus. Join her on a musical journey and tales of her recent travels back at her fave NYC club Stage 72 on Wednesday, August 23rd at 7 PM. Recently called “hypnotic” by Harry Connick Jr on his talk show, Karen’s melodic, piano pop songs and powerful vocals will give you a Manhattan summer experience to remember. Prepare to be entertained by her music, inspired by her message and a little freaked out to hear her give directions live!